We received the following letter after an ERSEA training from Sha’Ketta Davis, Assistant Director, ERSEA Coordinator, & Compliance Officer for the Delta Health Alliance. Thank you Ms. Davis for the kind words! We appreciate you choosing The Gravely Group. 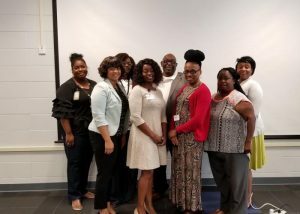 “On Monday, September 10, 2018, Mr. Gravely conducted an ERSEA training in Indianola, MS for the Delta Health Alliance Early Head Start Child Care Partnership. We conversed prior to the training, and I shared with him various concerns that my staff and I had. During the training, I could tell that he really listened to each and every concern I expressed because those were the points that he intentionally highlighted. “The entire training was engaging, enlightening, and interactive. His style of presenting included the history of Head Start, the purpose of ERSEA, HSPPS, activities, and scenarios, among other things. Most trainers present the foundational information, but this is the first ERSEA training we’ve had where there were actual scenarios similar to the issues that we experience in our program. This truly helped my team and I to work together to achieve positive outcomes for families. Being able to talk through and work through those scenarios while having an ERSEA expert present to guide us through the decision-making process was paramount to bettering our understanding of the interpretation of the HSPPS, definitions, and the ERSEA process.